I am SUPER excited to share this little tutorial with you today! I have shared this trick with a number of friends over the years, I hope you love it as much as they have. 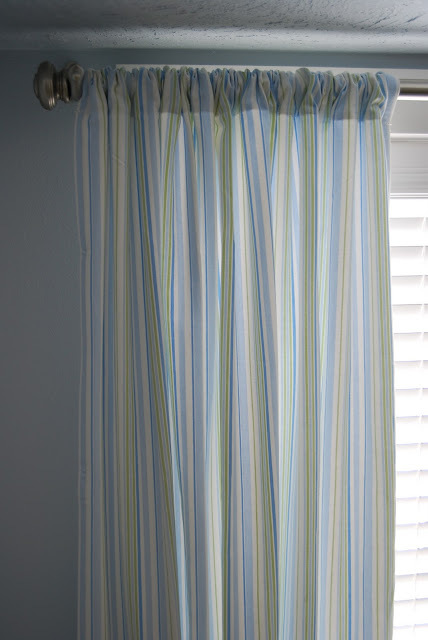 OK, here's an example of a typical curtain. 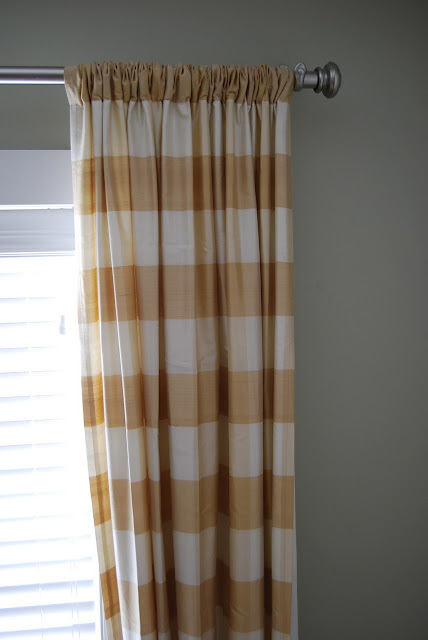 When I first started my journey of decorating it would DRIVE me CRAZY that one side of my curtain would gather and the other side looked flat and lifeless! ughh!! So I came up with this easy solution. Love these kinds of tips...the ones that aren't really necessary but makes life more enjoyable with less irritations. How funny, Just today I was looking at my curtains getting so frustrated wondering what to do, then I opened your blog and here in my answer! Thanks!! Who would have thought??? Thanks so much for such a great design idea! What a fantastic tip! Love it! I have a few wire hangers here calling my name. Putting this tip into action. OH MY WORD! This is fantastic!!! Ok, I am sooo going to do this with my curtains I just hung - thank you! I'm putting this awesome tip in my sidebar too, it's a keeper!! 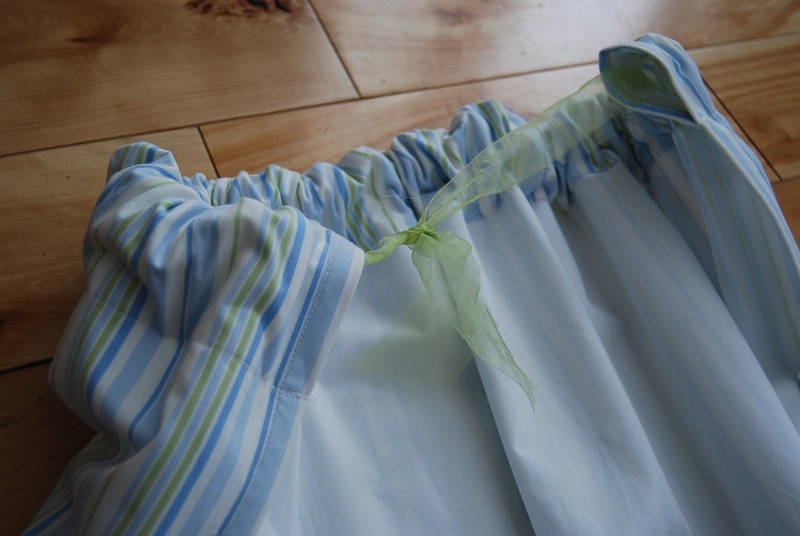 ok...it is official...I love this blog...great ideas and inspiration...:) I hate when curtains do that...Ugh!! You solved a horrible decorating dilemma...Brilliant! where are your gold and white curtains from? i need some just like that to finish my family room! Oh my gosh, I love this idea!! I am going to have to do this.. as soon as I get new shades for my bedroom window. I forgot to say, I was perusing your blog.. you have a BEAUTIFUL home!!! Brilliant! I love a hint like yours...it is filed in my head for passing on to others. Great thinking and thanks for passing it along.